Some leaders have it tougher than others. Maybe you have it easier, where the vision is popular and its mostly a matter of keeping everyone focused on getting there. But what if to reach your vision, you have to paddle upstream … and not only that, you need to persuade an entire armada that the vision is both desirable and feasible? Rosa Parks was one of the best-known leaders of the civil rights movement in the US. 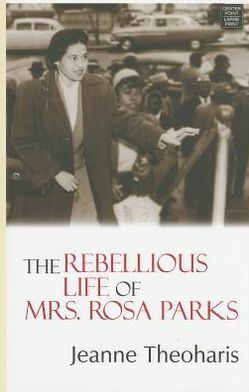 In fact, Congress called her “the first lady of civil rights” and “the mother of the freedom movement.” She tends to be portrayed as a tired old seamstress who sparked the civil rights movements by refusing to give up her seat on a bus, but actually she was only in her 40s and had been involved in civil rights leadership since 1943 … 20 years before Martin Luther King Jr. delivered his “I Have a Dream” speech. Jesse is joined by Cody Gascho, Lead Guy at Praxis Church, to discuss leadership lessons from Rosa’s example as a rebel leader … leading people toward a long-term purpose that may not have widespread popularity and may even appear hopeless.